In this driveway we used Amagansett Granite Pavers. 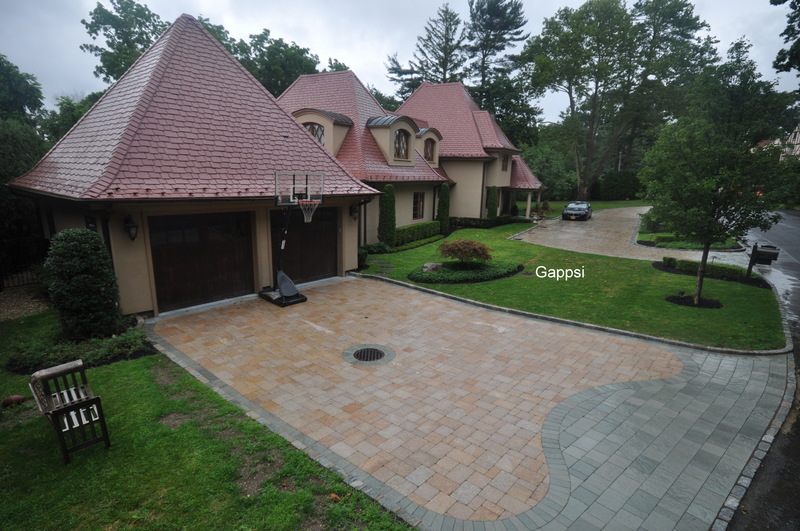 This type of Amagansett paver has a reddish, brown tint that blends well with anything. We placed an apron at the bottom with a horizontal structured coping to give it its unique design. These Amagansett Granite pavers are ideal for driveways. They are strong enough to sustain the weight of a vehicle without doing any harm to the stone.